First a little history, because history is needed. Think back before the stock market crash of 1929 and before the great depression, commercial banks and investment banks either worked closely together or in many cases were one. Laws were passed such as the Glass-Steagal Act. Among other things Glass-Steagal divided commercial banks and investment banks so that people’s savings would not be put at such investment risk. Why? Over the years other country’s unified banks had an advantage over American banks. Thus, congress moved to even things up and re-unify the banks and set up a regulation and monitoring system to make sure that what happened to help lead up to the Crash of 1929 did not happen again. The law is called the Gramm-Leach-Bliley Act, passed in the Clinton Administration. The measure lifts barriers in the industry and allows banks, securities firms and insurance companies to merge and to sell each other’s products. The Credit Crisis and racism? So the stage is being set! So the government is encouraging risky loans, citing the full support of Fannie and Freddie. Combine this with unsound accounting practices and that fact the congressional committees wanted more loans dished out. So, this is going well, but eventually the market has to have a down period, right? Well many Americans didn’t think so and went on a real estate spending spree. So that new mansion that you bought with nothing down and a low 30 year sub-prime mortgage (that banks were pushed to give) almost always bore floating interest rates, but most of them came with a fixed, two-year “teaser” rate. A mortgage created in early 2005 might have a two-year “fixed” rate of 6 percent that, in 2007, would jump to 11 percent and provoke a wave of defaults. In many ways, the American public was lied to by companies like Country-Wide, whom spent millions on media buys about refinancing your home when interest rates are so low. For the many Americans whom went down that path did not read the fine print and the unscrupulous swine whom sold them were happy to make any sale to meet their bonuses. Three events in the economy greatly accelerated the rate of default on the loans. Energy prices skyrocketed because of increased global demand and OPEC, causing food prices to skyrocket and slowing the growth of the economy. (remember 4+ dollar gallon gasoline?) Also, many states were raising property taxes and as time went on housing had become so inflated that it had to make an adjustment. Shares today trade less than a penny. From another article, “Democratic Cover-up for Fannie and Freddie Led to 2008 Meltdown“. Waters seemed particularly proud to say “since the inception of goals from 1993 to 2002, loans to African-Americans increased 219 percent and loans to Hispanics increased 244 percent, while loans to non-minorities increased 62 percent. Additionally, in 2001, 43.1 percent of Fannie Mae’s single-family business served low-and moderate-income borrowers…” She then said “the GSEs are working” and reiterated her opposition to more oversight. Starting to sell the picture by now? Well, let me add in the other critical elements, the multi-billion dollar hedge funds whom lost at times as much as half (or more) of their capital. You have heard the concept of “Two Big To Fail” by now. However, before I get to the hedge funds, I want to be sure to fully explain what a credit default swap is, and how it is a legal securities product. To make a long story a bit short, Blurry went on to fund Scion Capital in 2001 with a bit more than a million dollars. By the end of 2004, Mike Burry was managing $600 million and turning money away. Goldman Sachs not only sold him insurance on the pool but sent him a little note congratulating him on being the first person, on Wall Street or off, ever to buy insurance on that particular item. Blurry truly was in uncharted territory. By the end he owned credit-default swaps on $750 million in subprime-mortgage bonds. How did Scion Capital make out? So now the market is becoming very aware of what CDO’s are and what is starting to happen. The chain reaction is beginning. What we all now know is that PANIC then ensued. 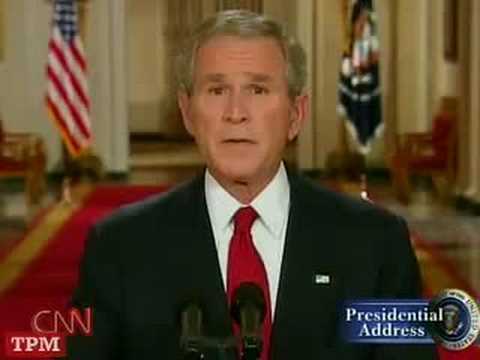 President George W. Bush comes on national TV and proclaims a financial crises that boils down to risking the future of America’s core without action. And then, in a move that will, I believe, forever go down in history as Capitalistic Evil, the porpoised bank buyout. The guts of the $700 billion bank bailout bill is the same as the three page document submitted on September 21 by Treasury Secretary Henry Paulson, former Goldman Sacks head. You remember that document right that literally had the audacity to WAVE ALL LAWS when implemented. Paulson had asked Congress to approve a $700 billion bailout to buy mortgage-backed securities that are in danger of defaulting. Paulson also pressured the system to steer off economic failure. For example, he admitted telling Bank of America CEO Ken Lewis that the Federal Reserve could remove the bank’s board members if they backed out of their proposed merger with Merrill Lynch last December. Read that here: Paulson Admits Pressuring Bank of America. Paulson in his recently released book defended the government which scrambled to prevent failing U.S. banks from dragging down the global economy with them. “As bad as this is, when we look back it’s not as bad as it could have been,” Paulson said. Paulson’s 500-page book, “On the Brink: Inside the Race to Stop the Collapse of the Global Financial System,” offers a chronological account of the rush to prevent an economic disaster as Lehman Brothers and American International Group spun toward collapse in September 2008. And here is where it starts to sting. Iif you look more closely at Paulson’s transaction, the taxpayers were taken for a ride–a very expensive ride. They paid $125 billion for bank stock that a private investor could purchase for $62.5 billion. That means half of the public’s money was a straight-out gift to Wall Street, for which taxpayers got nothing in return. How Close Were We to Breaking? What I meant above by democracy taken over is essentially when the American people began to learn the huge risks these banks took at our expense. American began to learn the huge bonuses that were happening at a time when the economy was on the brink of collapse. And understand, the economy has never, and probably never will again be as close as it was to a complete global financial meltdown. The risk, though, of a free-market bailout is that the money will be spent inefficiently. So the cat is out of the bag. The finger pointing on Capitol Hill is in high gear! So the American people are out for blood now. The news organizations finally, after spreading sure panic for months had something to focus on, who is responsible! Factor in the failure of Leemon Brothers, American government forced to back AIG (American International Group with $175 billion), Fannie and Freddie takeover. In fact, the largest restructuring and reorganization of financial institutions then occurred. Having worked in financial recruiting for some time, I can tell you first hand thousands of financial advisors and investors jumped ship from firm to firm. To this day the large firms are still putting the pieces back together, dealing with integration pains and ultimately having to deal with rebuilding their trust. What many individuals in the industry know is just how close the “dominoes effect” was to taking down the entire system. The domino effect is a chain reaction that occurs when a small change causes a similar change nearby, which then will cause another similar change, and so on in linear sequence. The free-market can only take so many toxic assets flowing into the market. First it was Leemon Brothers, then AIG, then Goldman Sacks, Bear Sterns, Morgan Stanley, Wachovia, huge losses by hedge funds such as Cidadel, AQR and Saba and thousands of investors shorting assets. As you have read, the federal government took monumental unprecedented steps that was in many ways the only way to avoid a complete, global, economic disaster. They stepped in, stopped the shorting of investment institutions, propped up with tax dollars the worst hit big players, and orchestrated the mergers of all the players. Wells Fargo takes over Wachovia, Morgan Stanley merges with Smith Barney, J.P Morgan Chase buys Bear Sterns (for a huge bargain), Bank Of American takes over Merrill Lynch, UBS pleads with the Swiss Banks, Goldman Sacks is helped by 5 billion proffered stock purchase (great deal for Berkshire Hathaway) from Warren Buffet. Again, unprecedented. And the Federal Reserve did? One crucial element that I want to mention is the Federal Reserve and their low interest rate policy that essentially was a driving factor for the ability to give sub-prime mortgage rates. In keeping interest rates artificially below market levels for political reasons, the fed encouraged bad lending and the housing market bubble. If you are interested in reading, Dr. Hayek wrote a paper on this subject that helped him get the Nobel Prize for Economics. Dr. Thomas Sowell has a book called “Housing Boom and Bust” he goes into much more detail. Lastly, derivatives are also a complex part of the financial system that exploded in popularity over the last decade. These products allow companies to essentially buy insurance against commodity prices, currency and interest rates. I hope I proved that at some point above. However, derivatives can also be used to place speculative bets, and banks make billions of dollars from trading and taking speculative bets on derivatives, which is one of the main reasons for the crackdown. Five of the biggest U.S. financial firms, including J.P. Morgan Chase & Co. and Goldman Sachs Group Inc., made more than $20 billion trading derivatives in 2009. Good article released about derivatives being removed from the market altogether, Geithner Letter Could Steer Derivatives Debate Away From Ban on Bank. In some ways, it means our system works, however, in too many others, it is apparent the system needs an overhaul. Especially the corruption that lead to policies that essentially lacked proper accounting and oversight regulation. Checks and balances is in the U.S constitution for a reason. However, because of the corruption and risk taking, the democracy, the people, were forced to take over. Enter the terrible time to be in America and a very hard time for the global (world) economies. To this day, the financial markets are still recovering. To this day, the thousands of homes taken back by the banks are being dumped on the real-estate market. To this day, law makers and politicians are working feverishly to bring those to justice, and a lot of finger pointing. What is important to remember is that many key players walked away with millions and millions, compounding interest and ultimately making themselves forever among America’s wealthy 1%. On this exact day (of originally posting) this article, Goldman Is Charged With Subprime Fraud, is just NOW coming up. I think I have proven that this has been building for some time, and the key players have, from what I have seen and read, mostly always known. But, for better or worse, that is politics, the money game, the money culture. Who ultimately loses the most in all this is the millions of Americans who refinanced and/or were involved in these shady sub-prime mortgage deals. They were forced out of their home, losing any wealth or net value they had achieved in their life. Millions lost over half of their 401k, pensions and thousands of companies closed their doors. It was a terrible fiasco that was orchestrated by the biggest investment vehicles for profit in the name of equal rights and racism. I hope I have illustrated how Capitalism has in many ways failed our democratic society. Greed is good, the profit motive is good, but to a point. There is much that has to be done in Washington to prevent such actions from repeating. Paulson’s free-market bailout may seem in retrospect like the last gasp of a failed Wall Street culture. 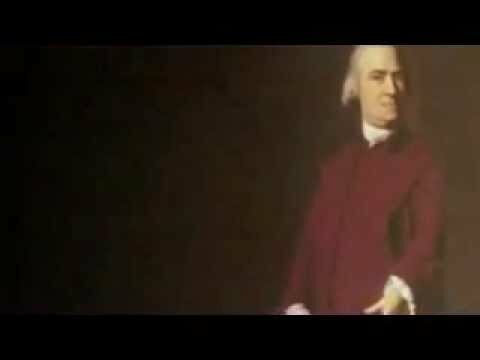 In addition, a friend recommended this YouTube.com video about America’s true form of government. Qute fascinating if you have 10 minutes to spare. Written between April 12-16th. Research between November 2009-April 2010. Special thanks to Chuck Norton, the dozens of financial professionals who offered advice and commentary, Google, Wall Street Journal, Business Week, Michael Lewis, and Scott Patterson. ***This blog post is not an offer, or solicitation of an offer, to buy or sell any security or other product. Information contained in this communication is not an official confirmation of any transaction or an official statement from Adam Faragalli. Adam Faragalli receives no compensation for this blog and has not affiliated with any authors, publications or companies cited above. Adam urges everyone to understand the risks involved with investing and can not be held responsible for any losses accrued from investment advice cited. I enjoy this website presented and it has offered me several sort of inspiration to succeed for some good reason, so thanks. I have been reading your posts throughout my smoke break, and We have to admit the whole write-up has been quite educational and quite well written. I believed I would allow you realize that for some cause this website does not display nicely in IE eight. I would like Microsoft would cease upgrading stuff. We’ve a question for you personally. Would you thoughts swapping blog site roll links? That can be truly neat! You are a quite intelligent individual! You raise a very good point. I hadn’t considered that before. Great article. This is the right weblog for anyone who needs to search out out about this topic. You understand a lot its virtually arduous to argue with you (not that I truly would need…HaHa). You undoubtedly put a new spin on a subject thats been written about for years. Great stuff, just nice! Youre so cool! I dont suppose Ive learn anything like this before. So nice to search out anyone with some unique thoughts on this subject. realy thanks for beginning this up. this website is one thing that’s wanted on the internet, somebody with just a little originality. useful job for bringing one thing new to the web! This site seems to recieve a great deal of visitors. How do you promote it? It gives a nice individual twist on things. I guess having something authentic or substantial to post about is the most important thing.